Lenco's IBT-6 is a large-volume, wireless floorstanding loudspeaker that has a docking station for iOS devices but also accepts USB and SD memory cards and has a built-in receiver. In this year's IFA, the company showed it in a series of interesting, out-of-the-ordinary finishes. As the market for short-throw projectors seems to be booming, LG has put forward its own proposal, the ProBeam UST. 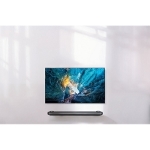 It is a projector that can project images up to 100 inches from a 4.7-inch distance, offering 1080p resolution, 1500 Lumens brightness and a 150,000:1 contrast ratio. 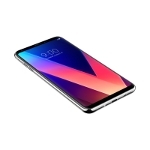 LG's V30 new top mobile phone was one of the most important announcements in the field of high-performance audio devices. Based on an ESS SoC, it is clear that it is addressed to discerning listeners who ask for something more when they use a smartphone as a media player. 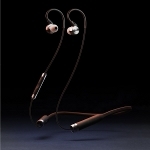 Included headphones are from B & O's Play series. 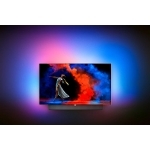 One of the most interesting products in the field of top TV-sets was, without a doubt, the LG Signature W7. With a depth not exceeding 2.6mm, it is impressively thin and light (under ten kilograms). It is based on 77 and 65-inches, 4K/HDR OLED panels and comes with a soundbar that supports Dolby Atmos. 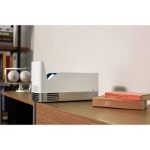 Multi Monitor 220 is Magnat's wireless active loudspeaker. 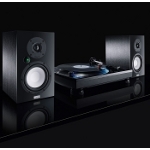 It is a two-way design with D-class amplifiers and supports Bluetooth aptX. For those with a turntable, the Multi Monitor 220 also has a phono input (MM) where they can connect their analog source. Magnat also showed the RV4, the replacement of the RV3 we saw for the first time in this year's Munich show. 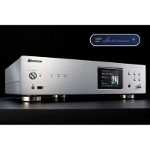 It is a hybrid integrated amplifier with a preamp stage based on E88CC tubes and a 2x150W power stage, with Sanken bipolar transistors. 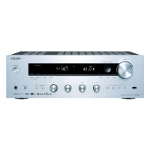 It has a built-in DAC with standard inputs (24/192) and offers wireless streaming via Bluetooth. The new TV-set from Metz is the Wallpaper, with a screen depth of less than 4mm. The electronics along with the inputs are in a separate chassis that connects to the display through a thin cable that is easy to hide so as not to affect the aesthetics of the space. Oehlbach entered the trend of re-clockers/re-generators for the USB bus. The XXL MasterClock features a high precision clock circuit and is placed between the host computer and the USB DAC. 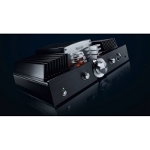 Onkyo has demonstrated the TX-8250, a puristic 2-channel integrated amplifier which is highly focused on new media, supporting Chromecast, DTS Play-Fi, AirPlay, and Bluetooth. 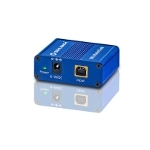 There is also an Ethernet connection as well as a phono (MM) preamplifier. 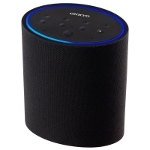 Onkyo also demonstrated the VC-PX30, a smart wireless loudspeaker that supports Amazon's Alexa voice control technology. It can be used to control a range of smart peripherals (thermostats, lighting systems, etc.) and as a member of a multi-room system via DTS Play-Fi. Panasonic unveiled a new model in the EZ1000 series. This is a 77-inch 4K/UHD OLED panel that supports HDR and HDR10+. The new device is THX 4K certified. 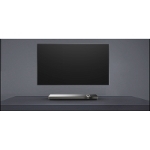 The TV is supported by a soundbar designed by Technics. 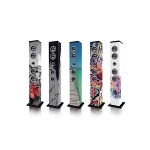 The same company also presented the SC-GA10, a wireless loudspeaker that supports Google Assistant technology and is focused on sound quality. It includes two dome tweeters and an 80mm double voice coil woofer and features an adjustable equalizer so its sound character adapts to room acoustics and listener's preferences. 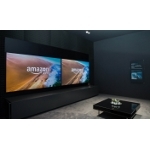 Philips has given a taste of the near future to its TVs, introducing the 65-inch 9 Series TV-set (expected in 2018), based on the new P5 image processing technology. The device will have a 6.1 channel soundbar and will use the familiar Ambilight light biasing technology. 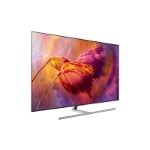 After entering the OLED space in 2016, Philips this year took the next step, introducing their first TV-set with a Quantum Dot technology panel. 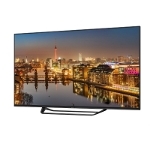 The 8602 series includes two models, with 55 and 62-inches screen size, that feature Ambilight and incorporate the P5 image processing technology. Pioneer (in cooperation with Onkyo) announced the new version (3.1) of the Audirvana Plus application. The application running on MacOS is supported by several Pioneer devices and the new version seems to transfer a significant part of processing from the network player to the computer, promising better quality. 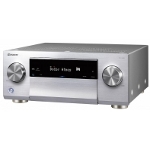 Pioneer also showed the new AV Receiver SC-LX502 a Dolby Atmos and DTS: X compatible device that focuses on wireless streaming (Chromecast, DTS Play-Fi, AirPlay, Bluetooth) and good sound quality based on a 32/768 DAC and the Direct Energy HD power stage the company has developed. Polaroid's PolaroidPop is a smart combination of a 20-megapixel digital camera and a color printer. The result is the modern version of the classic Polaroid (just in time for the 80th anniversary of the company). 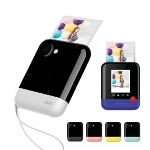 PolaroidPop can be connected to other devices and used as a printer. Print size is the classic 3.5x4.25 inches. RHA has introduced three new in-ear headphones, the MA650 (suitable for hi-res audio), the affordable S500 Universal as well as the MA390 Universal, whose design ensures very good isolation from external noise (RHA calls this design Aerophonic). 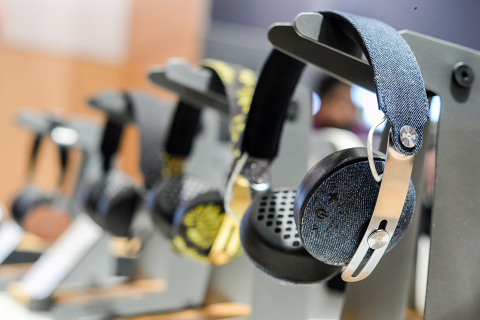 The company also demonstrated the wireless (Bluetooth/aptX) version of the MA750. 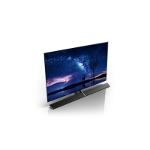 Samsung introduced another member in the Frame series, this time with a 43-inch diagonal. Frame, in addition to 4K/HDR regular TV program can also display artwork in collaboration with major providers (Lumas, Saatchi Art, Prado). The user can also choose the material and the finish of the frame. The same company made a very interesting presentation of the new HDR10+ technology. The HDR10+ is an open-standard for dynamic range enhancement, proposed by Samsung, Panasonic and 20th Century Fox. Unlike the HDR/HDR10 which are static, it is based on dynamic image processing, adapting to the content of each scene. 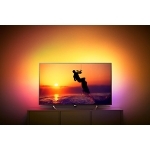 Samsung's Q8 series, just under their top-of-the-range Q9, grew up with two new "F" models, based on 55-inch and 65-inch QLED panels, the company's own version of the Quantum Dots technology. 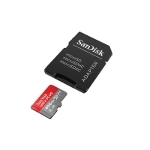 SanDisk broke the record of microSD card capacity by presenting the 400GB microSDXC UHS-I. This translates into storage space sufficient for 40 hours of 1080p video. It can also be used as "Adopted Storage" in smartphones, allowing for applications installation. Its price is expected to be in the $250 range. 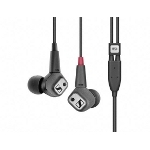 Sennheiser introduced the new version of the familiar in-ear IE 80 headphone, which will be called the IE 80 S. The new device retains the logic of the original model but has the ability to adapt to the user's audio preference, features a removable cable and tips from Comply Foam. While the mainstream and high-end TV trends this year were all about 4K/UHD/HDR, Sharp announced their intentions to enter the market in 2018 with an 8K, 70-inch model (Aquos LC-70X500). For the foreseeable future, it will only make sense as a scaler, given the lack of with a true 8K material.